3 Handle Padded Dog Lead Training/Walking. 3 Padded Handles for Extra Comfort. Long/Middle and Short Control Leash. No More Holding The Leash Behind Your Back Or Wrapping It Around Your Hand & Wrist!. Strong Bulky Metal Clip with O Ring for Using at Mid Length. Long Handle: 153cm (Excluding Clip). Middle Handle: 89cm (Excluding Clip). Close Control Handle: 23cm (Excluding Clip). 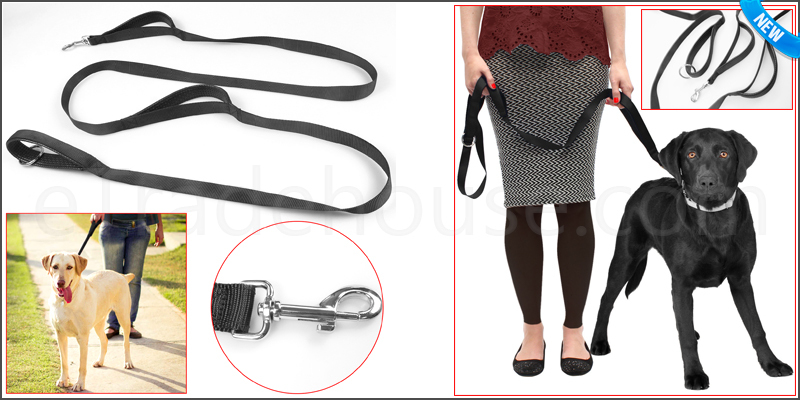 1x 3 Handle Padded Dog Lead Leash.